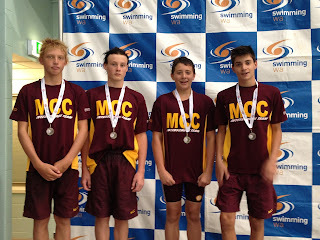 Jake achieved 4 Personal Best times from 6 swims and received a Silver Medal in the Mens 14yrs 50 Butterfly. 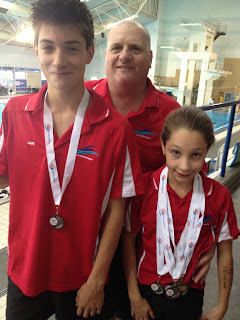 Sophie achieved 9 PB's from 11 swims and received a total of 6 Medals. Silver in the Women 11yrs 50 Backstroke. 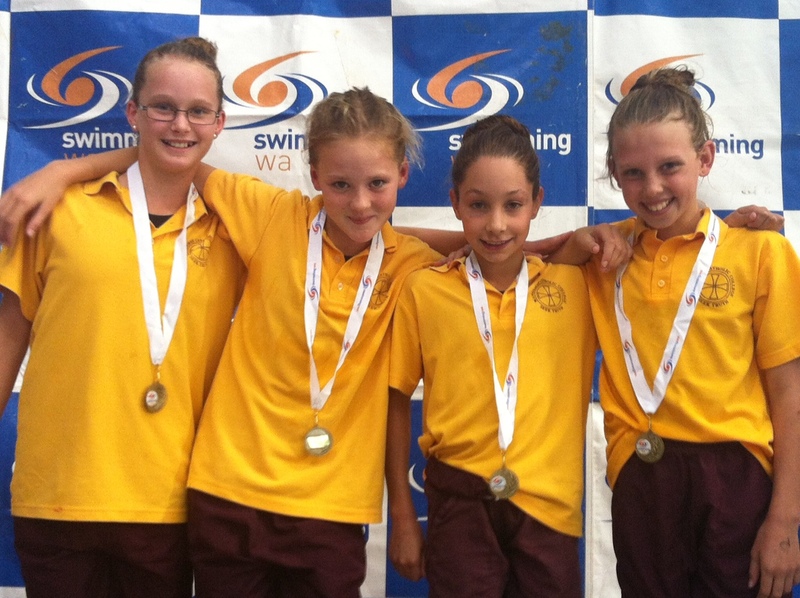 Silver in the Women 10-12yrs 200 Freestyle. 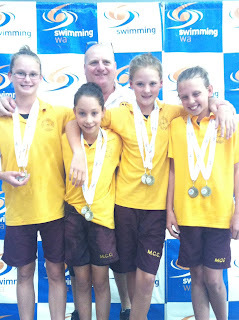 Bronze in the Women 11yrs 50 Breaststroke. Bronze in the Women 11-12yrs 200 IM. 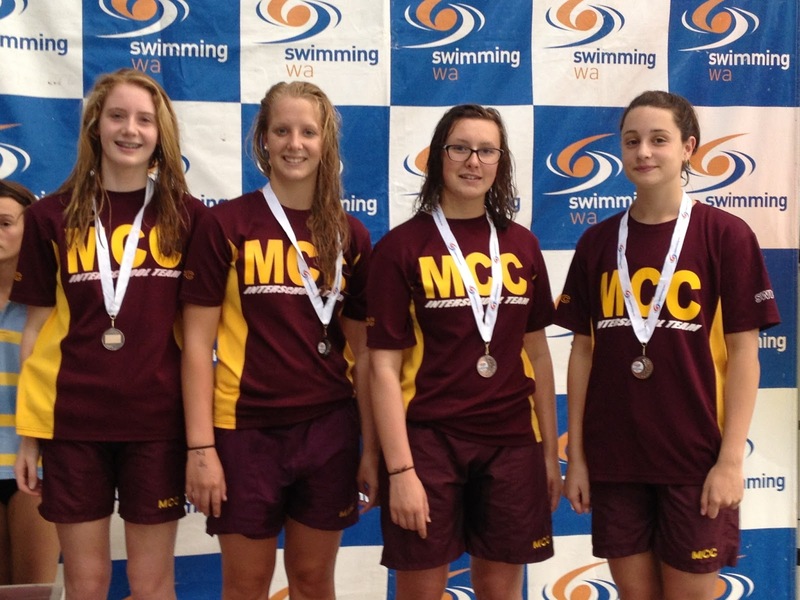 Bronze in the Women 11yrs 100 Breaststroke. Bronze in the Women 11yrs 100 Backstroke. 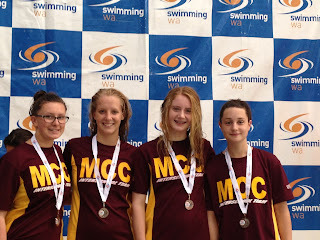 Back left to right: Kahlee Woods, Abbey Vergone, and Jake Vergone. 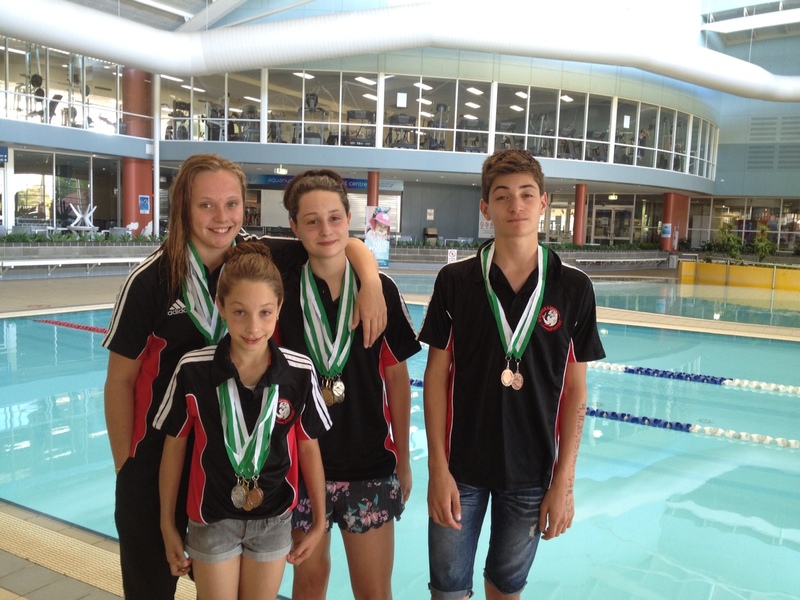 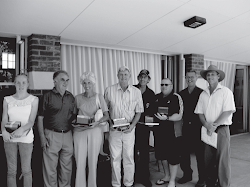 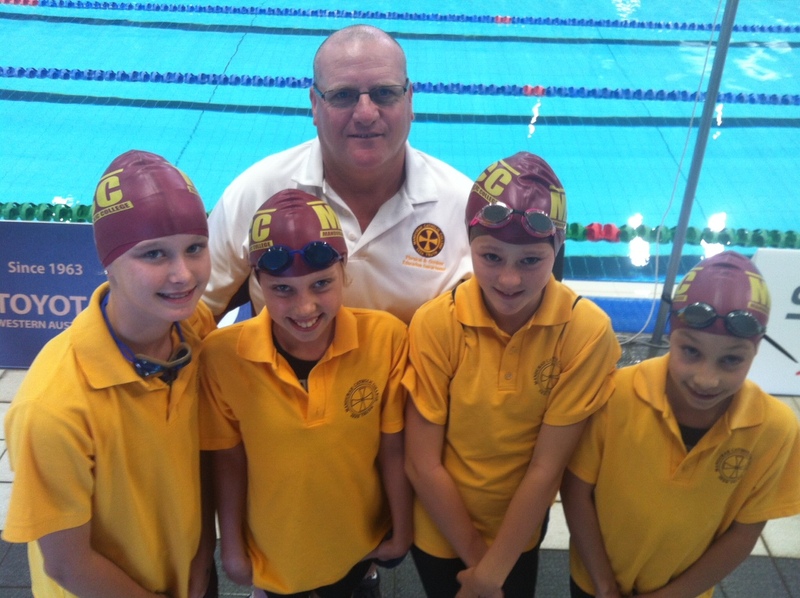 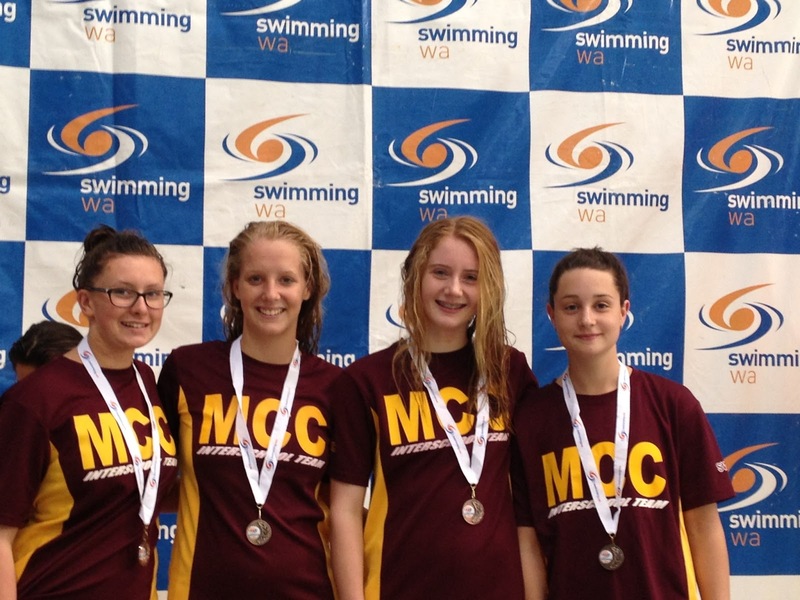 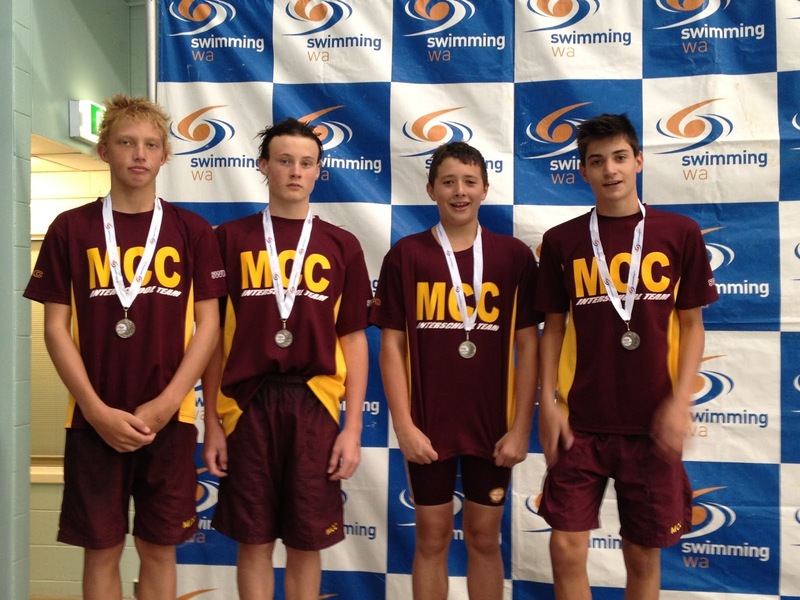 Members of the JCS Performance squad performed extremely well at the recent South West Regional Swim Meet in Bunbury. 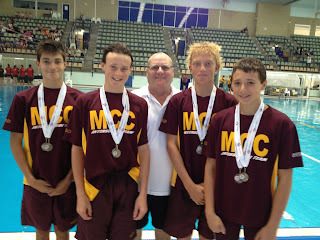 The swimmers achieved a number of PB's and won a swag of medals at the competition. 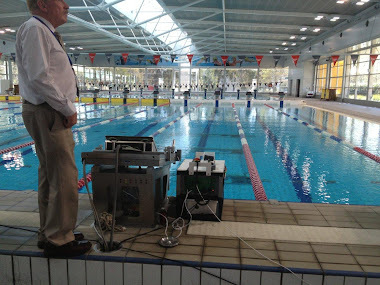 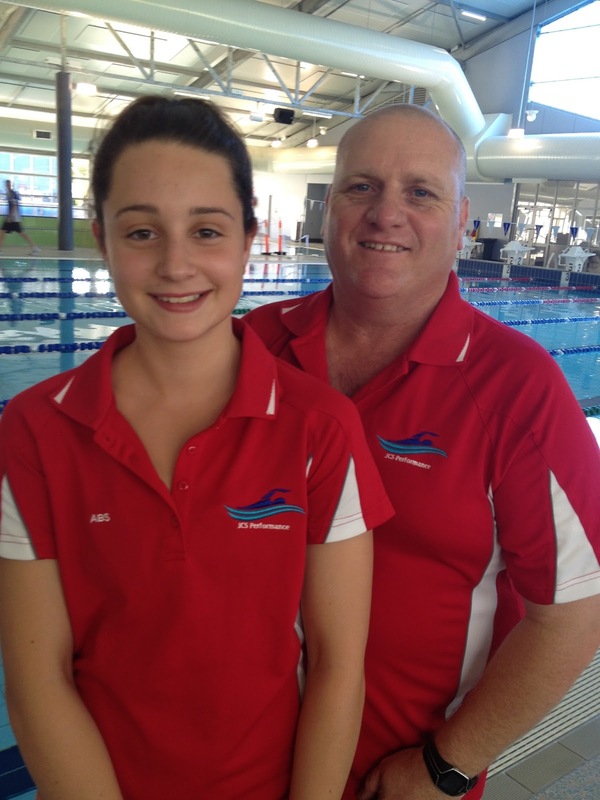 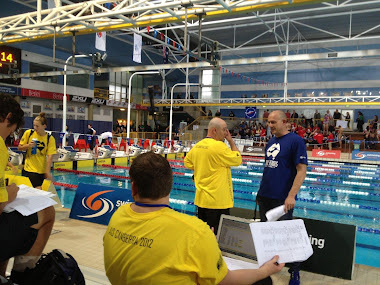 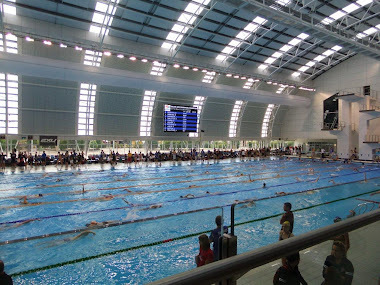 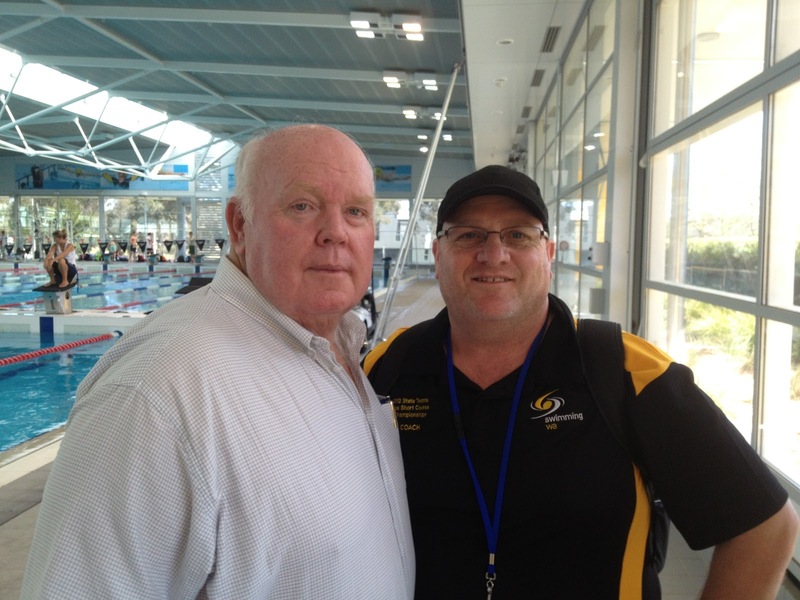 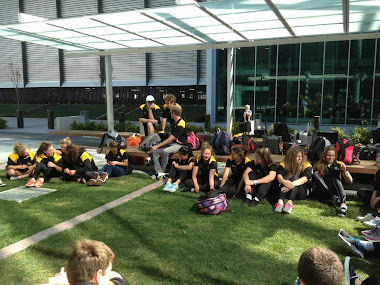 Swimming Coach, James Hornby, was recently invited to attend the State National Short Course event in Canberra. James was recognised by ASCTA WA as a potential Short Course National Team coach. While attending the event, James was privileged to spend some time with Olympic coach, Bill Sweetenham, who is his swim coach mentor. 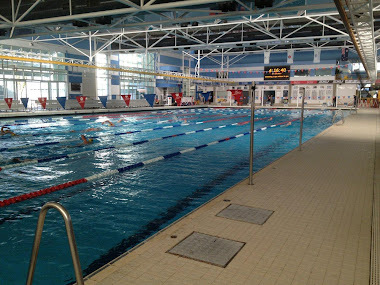 Over many months of hard work and research, James has developed a High Performance Program that aims to take dedicated swimmers to the next level in the sport of swimming. 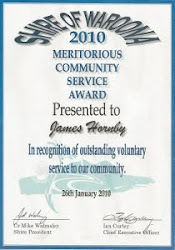 The program is also available for athletes of all sports.